Newly introduced H.R. 2834 (the Recreational Fishing and Hunting Heritage and Opportunities Act) is being supported by a “who’s who” of hunting groups for good reason: it is a necessary piece of legislation with a great upside for conservation. Unfortunately, the Obama administration is opposing the bill and is joined by several groups with a history of opposing sound wildlife management and other conservation principles. House Resolution 2834, a U.S. Sportsmen’s Alliance backed bill, was introduced recently in Congress. Those testifying in favor of the Act included Bill Horn, U.S. Sportsmen’s Alliance Director of Federal Affairs. His testimony revealed numerous benefits for anglers, trappers and hunters. And while there was no mention of roads, jeep, or anything else to do with travel by sportsmen on federal public lands included in H.R. 2834, there was the mention of wilderness. That word quickly triggered opposition from the government in concert with the Wilderness Society. During the hearing, U.S. Forest Service Deputy Chief Joel Holtrop admitted to being opposed to the bill without fully reading or understanding it. “H.R. 2834 was only formally introduced three days before this hearing and the Department has not had sufficient time to conduct an in-depth analysis of the legislation as introduced,” he stated. Predictably, environmental extremists are already misrepresenting the bill that’s specifically worded and designed to ensure continued fishing, hunting, and shooting on Forest Service and Bureau of Land Management (BLM) public lands. These lands total more than 400 million acres in the U.S. and provide critical opportunities for public fishing, hunting, and shooting activities. One feature of the bill declares that fishing, hunting, and shooting are “necessary” to fulfill the purposes of those public land areas designated as Wilderness per the 1964 Wilderness Act. The provision is needed to counter recent federal court rulings from San Francisco that reinterpreted the meaning of “necessary” while creating precedents that fishing and hunting might be found to not be “necessary” in these areas and be prohibited. The “necessary” section of the bill restores the legal status for hunters and anglers that existed from 1964 until the recent San Francisco rulings. The jeeps and off-road comments by the Wilderness Society in particular are clouding the real issue and will only confuse the public. Environmental groups and the Obama administration through their opposition are distracting anglers and hunters from the potentially devastating consequences of the San Francisco court decisions along with the need to shield sportsmen from those bad rulings. Take Action! 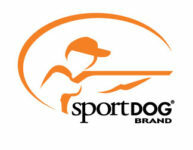 Sportsmen and sportswomen should call their Congressman today and urge them to support H.R. 2834. Tell them that this Act will protect the integrity of federal public lands for future generations and deserves their support. To find your Congressman visit the Legislative Action Center at www.sportsmensalliance.org/lac. To voice your opinion of H.R 2834 to the administration, contact U.S. Forest Service Deputy Chief Joel Holtrop’s office at 202-205-1523.